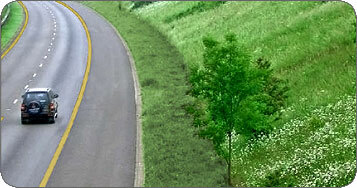 Beyond beauty, vegetation along roadways plays an essential role in stabilizing soil banks, stemming erosion and protecting habitats and waterways from sediment. Grass acts as a natural filter to retain sediment, organic material and other materials emitted by motor vehicles thereby preventing polution of waterways. Tree planting mitigates the effects of climate change. Climate scientists believe that human-induced global deforestation is responsible for 18-25% of global climate change. The United Nations, World Bank and other leading nongovernmental organizations are encouraging reforestation, avoided deforestation and other projects that encourage tree planting to enhace the health and beauty of our surroundings. 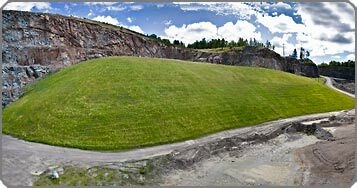 Hydroseeding excels at covering large open spaces, mining and landfill sites. Go to the Solutions web page to see some of the problems that are encountered today and a list of solutions best suited to resolve the issues. 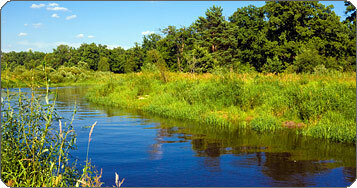 Waterways includes lakes, rivers, streams, brooks and wetlands. 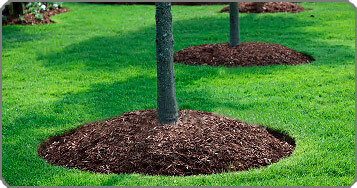 Each of these areas has individual requirements when it comes to hydroseeding. Traditional methods combined with 4th Generation Technologies will ensure that Waterways hydroseeding will comply with Environmental regulations.